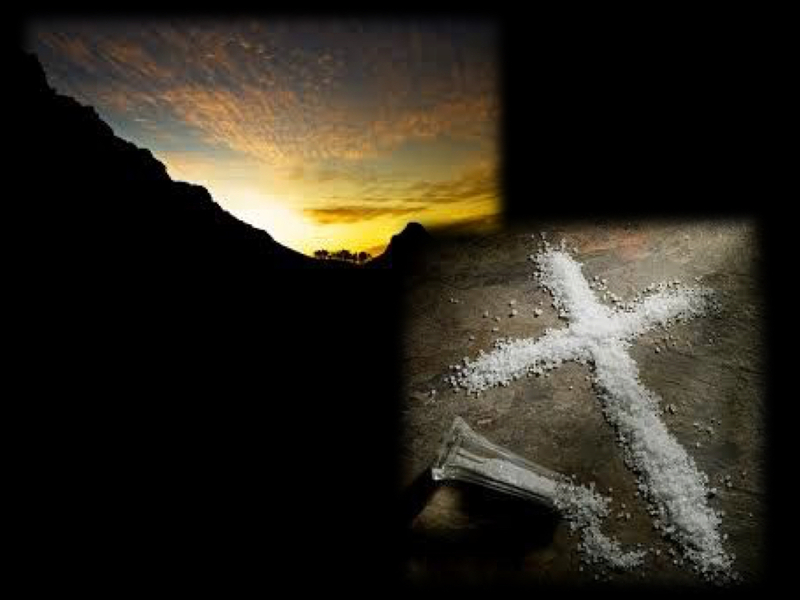 Jesus calls us to be the light on the hill and the salt of the earth. There is no doubt that there is darkness all around us in our world today, but there is "Good News"! 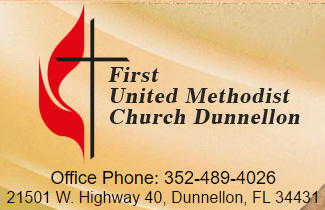 Come and be a part of our community, our family, at the Dunnellon Methodist Church. We love to proclaim the Joy of the Lord and pray for God's amazing peace. The "Word" says, "Rejoice in the Lord always and again I say rejoice." We love because He first loved us, and our Lord is near to our hearts. We believe our community is our church and we would love to be a blessing to you and yours. The First United Methodist Church was founded in 1885. From just a small group that year, we have grown to over 1,000 members. With the guiding of the Holy Spirit the church was able to build a new facility in 2003. During the 9:30 hour we offer Sunday School for both children and adults. During the 11:00 hour there is a Childrens Sunday School and Youth Sunday School. Dinner is served at 5:15pm and is free to all who attend. Immediately following the dinner there are separate classes for all at 6:00pm. Pastor Eddie shares his time between the children and then leads the study in the Sanctuary. © 2019, First United Methodist Church Dunnellon All rights reserved. Reproduction in whole or in part without permission is prohibited. 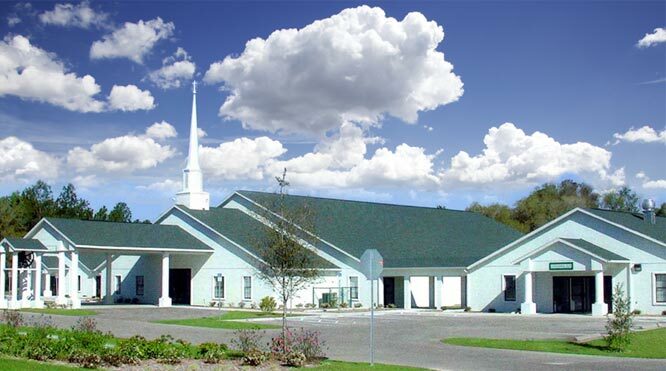 © 2019, First United Methodist Church Dunnellon. All rights reserved. Reproduction in whole or in part without permission is prohibited.